Congratulations to Design Engineer Ben Gorrill on his recent achievement of IEng status with the Institution of Civil Engineers (ICE). Achieving an Incorporate Engineer status (IEng) gives experienced engineers recognition for their expertise and hard work, a fantastic achievement and career stepping stone. 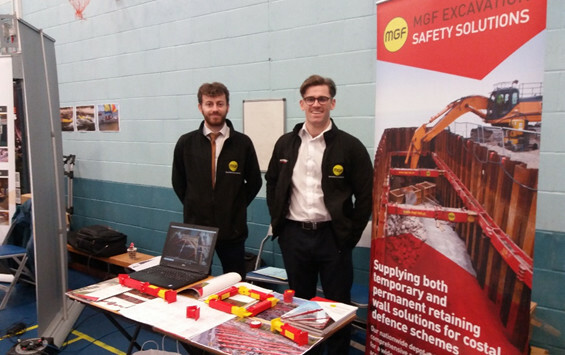 Ben began his career in Engineering after graduating from the University of Manchester in 2012 when he was employed by a leading consultant Mott Macdonald, working on projects such as the Northern Hub Rail Project. He has also worked for other consultants such as Mouchel and WSP as a Geotechnical Engineer. Since joining MGF Design Services Ltd in December 2016 Ben has become an integral keystone in the ongoing success of the engineering department. His experience and knowledge of Geotechnics have proven very valuable in acting as an adviser to both MGF customers and Internal Engineering staff. He also leads an internal Geotechnical discussion group to help further the departments knowledge in the field of Geotechnics.